If you have any questions about the ELLIX TOO information page below please contact us. The capacious luxury yacht ELLIX TOO is a motor yacht. 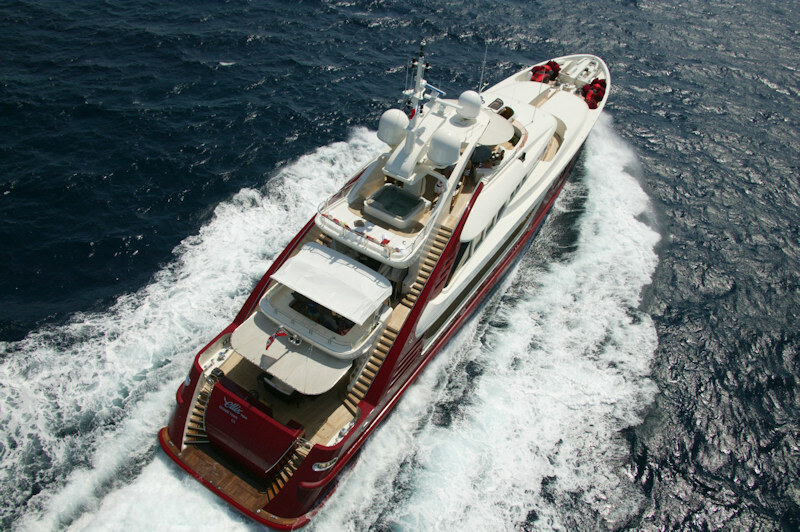 This 48 metre (155 ft) luxury yacht was produced by Isa (International Shipyards Ancona) in 2004. Superyacht ELLIX TOO is a stately yacht that is able to sleep as many as 12 guests on board and has a total of 9 professional crew. Completed for 2004 the comparatively recent interior design and decor demonstrates the distinction of the design work of Walter Franchini. The yacht's wider design collaboration came from Isa Yachts and Walter Franchini. The formal naval architect firm drawings are a work of Isa Yachts. Motor Yacht ELLIX TOO received her elegant interior designing from the interior design firm of Walter Franchini. In 2004 she was formally launched to celebration in Ancona and post sea trials and finishing touches was afterwards delivered to the owner. 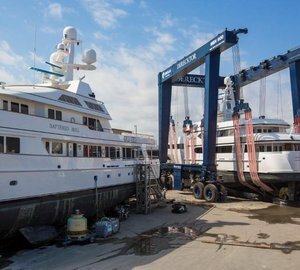 Isa (International Shipyards Ancona) completed their new build motor yacht in Italy. A fairly large area is brought about with a widest beam (width) of 8.9 metres / 28.2 feet. With a 2.74m (9ft) draught (maximum depth) she is reasonably shallow. The material steel was used in the building of the hull of the motor yacht. Her superstructure over the hull is created from aluminium. She retains two large MTU main engine(s) and can attain a comparatively good max continuous speed of around 17 knots. The engine of the ship creates 2365 horse power (or 1740 kilowatts). Her total HP is 4730 HP and her total Kilowatts are 3481. Coupled to the ELLIX TOO engines are twin screw propellers. For stabalisers she utilises Rodriquez Marine Systems. ELLIX TOO has a/an comparatively good cruising speed is 15 knots which makes a range of 4750. The capacious luxury yacht motor yacht ELLIX TOO is able to accommodate as many as 12 people in addition to 9 qualified crew. Rincón de la Victoria. Spain. Provincia de Málaga. Andalusia. During Sept 2009 ELLIX TOO visited Rincón de la Victoria, in Spain. 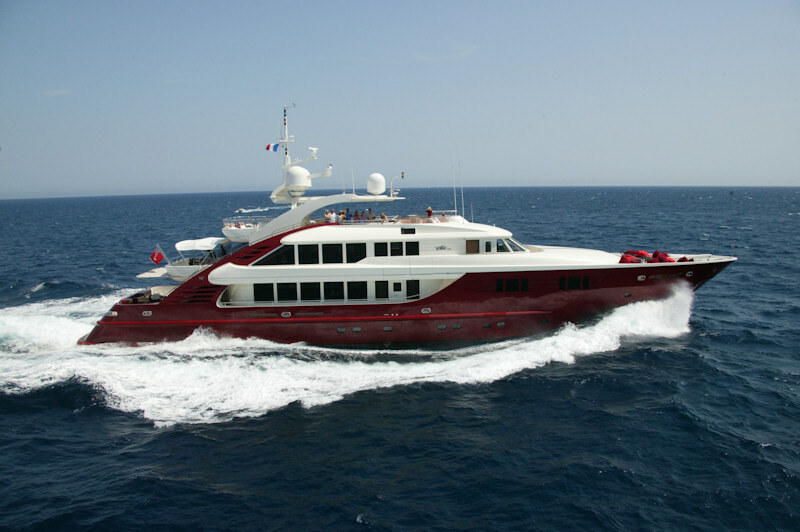 This motor yacht also navigated the waters near Provincia de Málaga during Sept 2009. This motor yacht has a teak deck. The luxury yacht ELLIX TOO displayed on this page is merely informational and she is not necessarily available for yacht charter or for sale, nor is she represented or marketed in anyway by CharterWorld. This web page and the superyacht information contained herein is not contractual. All yacht specifications and informations are displayed in good faith but CharterWorld does not warrant or assume any legal liability or responsibility for the current accuracy, completeness, validity, or usefulness of any superyacht information and/or images displayed. All boat information is subject to change without prior notice and may not be current.